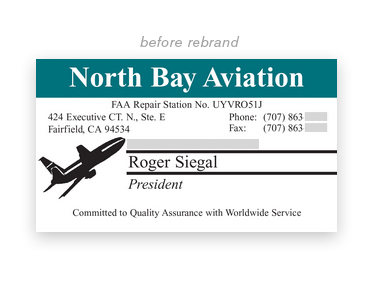 North Bay Aviation (NBA) is an aviation component repair company located in Fairfield, CA just north of San Francisco (bay). Their brand transformation includes the logo, stationery system, sales collateral and website. 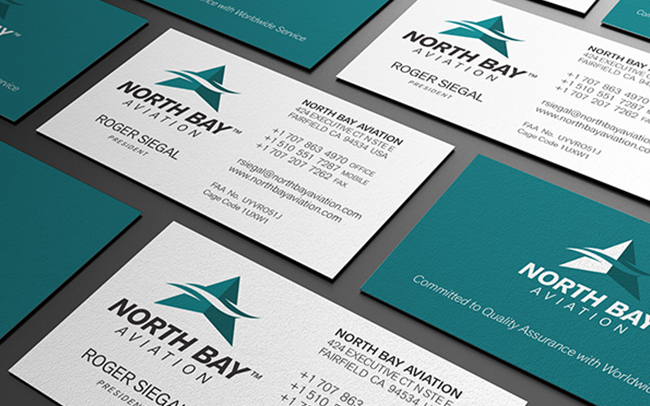 NBA needed a more professional brand identity to gain market share in the aviation component repair industry. They also wanted to attract and retain more qualified and more experienced employees. 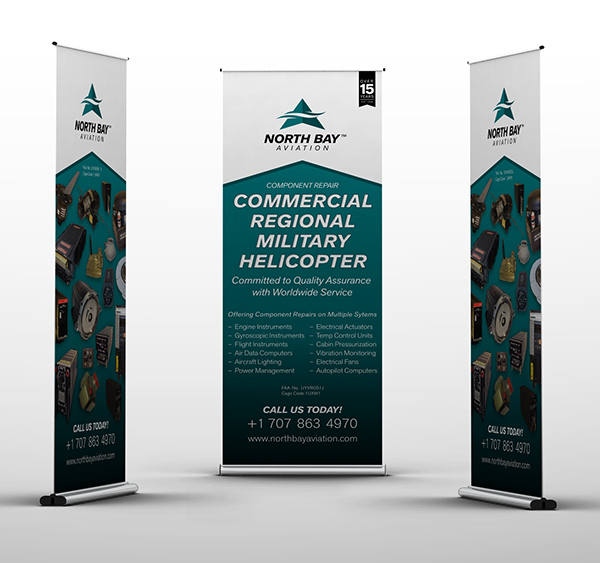 The goal was to position NBA as a well established, reliable shop that delivers quality assurance with worldwide service to appeal to the higher profile commercial, regional airlines and Original Equipment Manufacturers (OEM). To accomplish this, we needed a new logo to reflect these positive characteristics and also differentiate NBA from unreliable repair shops around the globe. The logomark’s triangular shape represents a north pointing arrow but is also reminiscent to a bird or flying craft. The green/blue colors representing bay water also differentiates NBA from everyone in the industry. The organic shaped waves dividing the arrow reinforce NBA’s geographic location close to water but also allude to air/air flow. The client suggested the left and right sides represented the company and client joining together. The star-like shape should also prove attractive to NBA’s military clients. 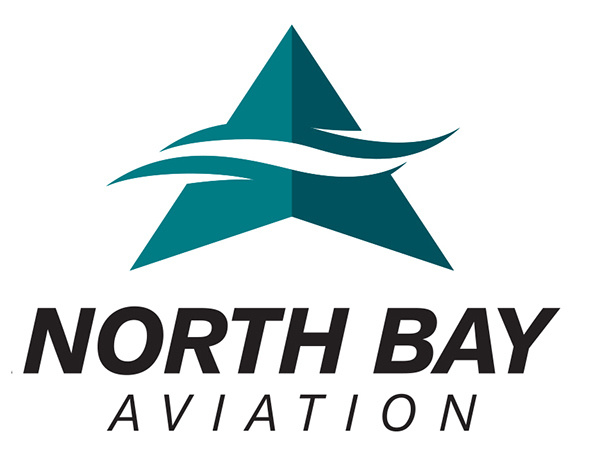 The North Bay Aviation rebrand replaces an indistinguishable brand identity with an original, conceptual identity that better reflects the great American small business it represents. It’s value, beyond increasing sales, is in its likability, decency, holding power, timelessness and graphic excellence…if we do say so ourselves.